How did America get to be the wealthiest and most powerful country on Earth? To explain, let me tell you about visiting a remote mountain village in Slovakia. I arrived in the evening, as the ancient central square filled up with people. Every man, woman, and child had a cell phone. Invented in America. In the local hospital, I’m sure that most medicines were invented in America, which does more medical research than all other nations combined. Local farmers probably planted seeds and used methods developed in the U.S. Everywhere in the world, everyone watches American movies, listens to American music, and on and on. America’s brand, the source of our wealth, is innovation. America has long led the world in creating wealth by creating new ideas and putting them in practice. Technology? Medicine? Agriculture? America dominates the world in each of these fields, and many more. The reason is that America innovates, constantly finding new ways to solve problems, cure diseases, grow better crops, and generally do things less expensively. I am often at Johns Hopkins Hospital, where the halls are full of patients from every part of the globe. They come to Johns Hopkins because of its reputation for innovation. In education, we face daunting problems, especially in educating disadvantaged students. So to solve these problems, you’d naturally expect that we’d turn to the principle that has led to our success in so many fields – innovation. The Every Student Succeeds Act (ESSA), passed by Congress and signed into law in December, 2015, has taken just this view. In it, for the first time ever, is a definition of the evidence required for a program or practice to be considered “strong,” “moderate,” or “promising.” These definitions encourage educators to adopt proven programs, but for this to work, we have to have a steady stream of proven innovations appearing each year. This function is fulfilled by another part of ESSA, the Education Innovation and Research (EIR) grant program. The EIR provision, which was included in ESSA with bipartisan support, provides a tiered evidence approach to research that will constantly add to the body of programs that meet the ESSA evidence requirements. Proposals are invited for “early phase,” “mid-phase,” and “expansion” grants to support the development, validation, and scale-up of successful innovations that originate at the state and local levels. Based on the U.S. Department of Education’s recent EIR grant application process, it appears (as is expected from a tiered evidence design) that lots of early stage grants of up to $3 million will be made, fewer mid-stage grants of up to $8 million, and very few expansion grants of up to $15 million, all over 5 years. Anyone can apply for an early-stage grant, but applicants must already have some evidence to support their program to get a mid-stage grant, and a lot of very rigorous evidence to apply for an expansion grant. All three types of grants require third-party evaluations – which will serve to improve programs all along the spectrum of effectiveness – but mid-stage and expansion grants require large, randomized evaluations, and expansion grants additionally require national dissemination. The structure of EIR grants is intended to make the innovation process wide open to educators at all levels of state and local governments, non-profits, businesses, and universities. It is also designed to give applicants the freedom to suggest the nature of the program they want to create, thus allowing for a broad range of field-driven ideas that arise to meet recognized needs. EIR does encourage innovation in rural schools, which must receive at least 25% of the funding, but otherwise there is considerable freedom, drawing diverse innovators to the process. EIR is an excellent investment. If only a few of the programs it supports end up showing positive outcomes and scaling up to serve many students across the U.S., then EIR funding will make a crucial difference to the educational success of hundreds of thousands or millions of students, improving outcomes on a scale that matters at modest cost. EIR provides an opportunity for America to solve its education problems just as it has solved problems in many other fields: through innovation. That is what America does when it needs rapid and widespread success, as it so clearly does in education. In every subject and grade level, we can innovate our way to the top. EIR is providing the resources and structure to do it. Recently I wrote about a new education innovation initiative being supported by some members of Congress. The initiative is based on the successful Small Business Innovation Research (SBIR) program, which has been running in 11 federal agencies for decades. Each agency running SBIR sets aside a tiny percentage of its budget to award grants to small companies working to develop and evaluate new technologies. SBIR has received positive reviews from both the Government Accountability Office and the National Academy of Sciences. While the passage of this amendment is only a small step for Washington in the greater marathon that is ESEA, it represents a giant leap for students nationwide. First, let’s look at what the amendment does. It adds a section on “Education Innovation and Research” to the bill. 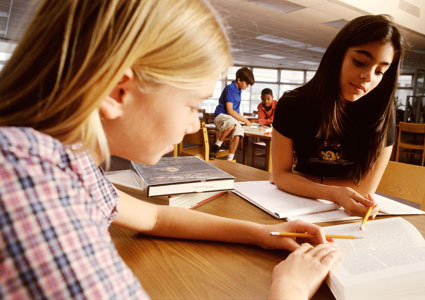 This would provide grants for “the development, implementation, replication, or scaling and rigorous testing of entrepreneurial, evidence-based, field-initiated innovation to improve student achievement and attainment for high-need students.” It requires that at least 25 percent of the funds be used for students in rural areas. Grants may be provided to states and school districts as well as nonprofits, small businesses, charter management organizations, educational service agencies, or institutions of higher education working in partnership with a state or school district. Grantees can apply at any stage, and grant amounts will be based on the level of previous success and evidence of effectiveness in achieving desired educational outcomes. The amendment drew a broad coalition of support, and a letter with over 140 signatories was sent to the senators in advance of the markup to bolster support for the amendment at the markup. Now let’s turn to what this amendment means politically and policy-wise, and what it will mean in the long run for communities and children across the country. At one of the most divisive political moments in our nation’s history, in a piece of legislation that itself is controversial and has failed to be reauthorized despite numerous attempts over the past six years, a bipartisan amendment providing for education innovation and research sailed through a Senate committee. Politically, its inclusion in the chairman’s bill as it moves to the Senate floor means an extremely strong likelihood that it will withstand the floor process (should there be one) and make it into the final Senate bill. Even if ESEA fails to get reauthorized this Congress, the fact that this provision is now in the chairman’s bill sets an important precedent for inclusion in future attempts to reauthorize ESEA. Policy-wise, this kind of bipartisan embrace of innovation and research in the realm of education represents a new era. Congress and government in general is increasingly demanding evidence of effectiveness for education programs, a change that has enormous potential for improving programs for children. The Bennet-Hatch amendment continues and advances the movement toward the use of evidence as a guide to policy and practice in education. 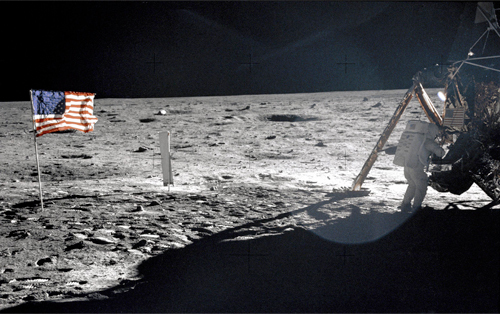 There is still a lot to do even if this amendment becomes law, but the very fact that such a thing could happen is an indication that the ideas of evidence-based reform are no longer from the moon. If you live long enough, eventually you’ll see everything, even a positive article about evidence-based reform in a major newspaper. In the September 2 New York Times, science reporter Gina Kolata writes about how educational research is starting to use scientific methods to evaluate the effectiveness of educational interventions. The articleis great, and much appreciated. But I found my own conversation with the reporter even more interesting. Just for perspective, NIH spends $31 billion a year on medical research, and this is just a portion of government, foundation, and private funding of medial R&D. In its best year, i3 was only 2% of the NIH medical research budget, and at $150 million a year it’s now one half of one percent of the NIH budget. The Institute of Education Sciences (IES), referred to in the article as “a little-known office in the Education Department” has an annual budget of about $220 million for research and development, roughly two days at NIH. The (relatively) tiny investment in education research, development, and dissemination is old news, of course. It is a classic no-win conundrum. Due to minimal funding, educational research makes slow progress, which diminishes the enthusiasm for it among politicians, who then continue to allocate minimal funding. Educational researchers and government have embraced higher standards for program evaluation research, but such research is expensive, so not much top-quality research can be funded. A visible, undeniable breakthrough, where one or more research-proven programs become used on a large scale and then show positive impacts at scale, could build a stronger case for investments in the whole pipeline of research to evaluation to scale-up. That is one purpose of i3, or at least could be a positive outcome. Much as the moon landing spurred aerospace R&D for decades and the Human Genome Project motivates much biology R&D, a big breakthrough in education R&D could send ripples of enthusiasm far beyond itself. Because education is dominated by government, such a breakthrough can only happen if government wants it to. But perhaps experience with i3 will cause government to promote the use of proven programs in Title I and other government funding streams, demonstrating that research really can affect widespread practice and improve student outcomes. If that happened, hopefully respect for research in education would grow and funding would grow in proportion. Well, at least a person can dream. 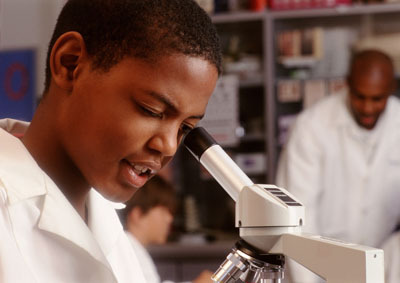 Do Clinical Trials Work in Education? A recent article in The New York Times asked a provocative question: Do clinical trials work? The article was written about clinical trials in medicine, especially cancer research, where it often happens that promising medications and procedures found to be effective in small studies turn out to be ineffective in large ones. As an advocate of clinical trials (randomized experiments) in education, I found the article distressing. In education, as in medicine, larger and better-controlled experiments frequently fail to find positive effects of programs found to be effective in smaller and less-well-controlled studies. In fact, there is a clear relationship between study sample sizes and outcomes: The larger the study, the lower the reported impact of the treatment. Some in both medicine and education are wondering if different research methods are needed that are more likely to show positive effects. In my view, this is foolish. The problem is not in the research methods. What we need to do is to identify why so many experiments show no impacts, and solve those problems. 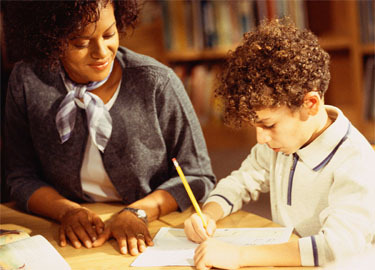 One common problem in randomized experiments in education, for example, is that before the experiments, both experimental and control teachers must not have been using the experimental method. If the treatment is difficult to learn to use, this may mean that in a study of one year or less, teachers using the new method did not get good at it until near the end of the experiment. There are numerous experiments in education in which there were no impacts in the first year but significant impacts in the second. Yet a one-year study would not find out about the second-year impacts, shortchanging the treatments’ reported effect. As someone who does a lot of meta-analyses of educational treatments, another problem I routinely see is that many large, randomized evaluations assess weak treatments. For example, there are dozens of studies comparing a publisher’s new textbook in comparison to existing textbooks. Such studies invariably produce effect sizes near zero. This does not mean that the new texts are ineffective, but that they are no more effective than other texts. Technology studies also often evaluate ho-hum commercial software unlikely to make much difference. All too often, researchers carry out large and expensive evaluations of programs that are too poorly defined or too much like ordinary practice to show much impact. Wishful thinking runs up against harsh reality in large, well-controlled experiments. The funding structure for research in education often leads experimenters to carry out large scale, randomized evaluations of programs that are not fully ready for large-scale evaluation. New and truly innovative methods often need to be piloted, evaluated on a modest scale, and only then subjected to large-scale evaluation, but funding for small-scale formative evaluation is hard to obtain. In education, as in medicine, there is a problem of too many disappointing findings in clinical trials. Yet the solution is not to abandon clinical trials. It is to create more powerful and effective treatments. The process of moving an educational innovation from a good idea to widespread effective implementation is far from straightforward, and no one has a magic formula for doing it. The W. T. Grant and Spencer Foundations, with help from the Forum for Youth Investment, have created a community composed of grantees in the federal Investing in Innovation (i3) program to share ideas and best practices. Our Success for All program participates in this community. In this space, I, in partnership with the Forum for Youth Investment, will highlight observations from the experiences of i3 grantees other than our own, in an attempt to share the thinking and experience of colleagues out on the front lines of evidence-based reform. Ruth Schoenbach has seen thousands of classrooms transformed by the teacher training programs offered by the Strategic Literacy Initiative (SLI) at WestEd, a national education R&D lab with headquarters in San Francisco. She and Cynthia Greenleaf co-direct SLI. One of the most ambitious of SLI’s programs is a scale up of the Reading Apprenticeship model known as RAISE (Reading Apprenticeship Improving Secondary Education) funded through i3. RAISE seeks to significantly increase the literacy and content knowledge of more than 400,000 high school students and 2,800 teachers in five states, and to build local capacity to continue the work after the grant ends in 2015. 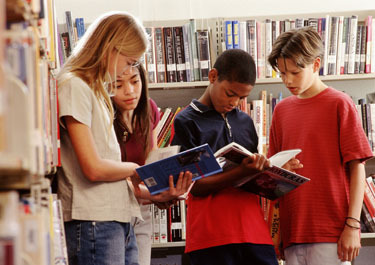 After three rigorous, randomized federally funded studies confirmed that students exposed to Reading Apprenticeship made real gains in literacy and had more positive feelings about themselves as readers and students, Schoenbach and her colleagues knew that their program worked – and so did school districts across the country. The increased demand for Reading Apprenticeship and the support of the i3 grant put RAISE at the front of the work, and SLI in the position of having to vastly scale up their operations. This is where things got interesting. RAISE training is more than just a new set of routines for teachers to use in the classroom. It’s a transformation of teachers’ beliefs about themselves, their students, and the nature of literacy itself. The work can be messy, intense, and deeply personal – and now SLI had to figure out how to train scores of new facilitators to replicate their work with thousands of new teachers in every kind of community across the country. 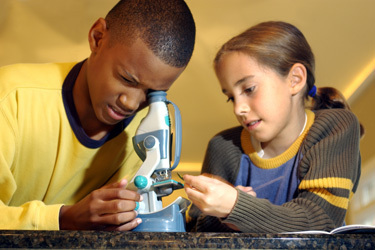 “The challenge,” Schoenbach said, “is figuring out how to be true to the principles we know work, while being responsive to the incredible diversity of classrooms, students, and teachers in a school, a city, a state.” The problems of scaling up – holding fidelity to the model while responding nimbly to local needs – are familiar in many industries, and the common response in teacher professional development is to simplify. For RAISE the problem was making the knowledge of SLI’s professional development accessible to new audiences throughout the country, and simplifying was not the answer. Instead, the RAISE project engaged the notion of developing a generative scale up. The quality of our scale up will depend on the quality of our professional development facilitators,” said Schoenbach. “They are the heart of the transformation.” The staff and researchers at SLI have been working for years to make their unique inquiry-based professional development more accessible. They knew that facilitators – most of whom are full time teachers themselves – needed to be comfortable inviting teachers to explore their own disciplinary literacy in depth, and to challenge RAISE participants’ assumptions about students’ capacities and their own teaching approaches. What they did not know is just how much work that would take. The i3 emphasis on innovation encourages grantees to adapt program plans to emergent project needs. This enabled SLI to respond to what they were learning from new communities and to develop and refine new program elements. One response was the development of a hybrid model for facilitators’ learning, one that included face-to-face as well as wrap around online support. Through innovations like this one, the RAISE project has begun to make the “invisible” elements of strong facilitation of Reading Apprenticeship professional development more visible to a wider and more diverse generation of facilitators.